Join us for an evening of food, silent auction, and music! Ten percent of La Cocina's sales and all of the silent auction proceeds will support Derechos Humanos' migrant justice work in Tucson. We are in the fight of our lives. We must Rise & Organize to stop the relentless attacks on our communities, our climate and the future of our democracy. Join us this Saturday to demand Sheriff Napier to evict ICE from the jail and end any collaboration with ICE. Cruisin’ For Human Rights! Car Show! Free & Open to the Public!! 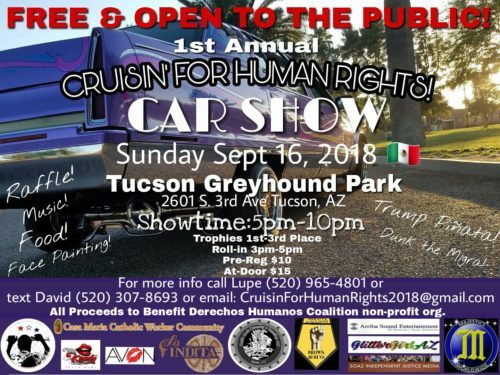 Lowrider & Bike Show with Cruise to benefit Coalición de Derechos Humanos/Derechos Humanos Coalition in Tucson, AZ. 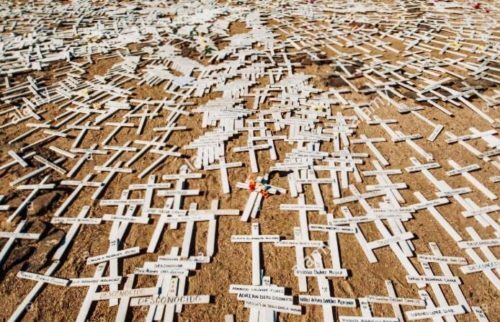 Please come out and help us make crosses for the men, women and children who lost their lives on the the Arizona border this past year. The crosses will be carried in the Dia de los Muertos Pilgrimage on November 3rd (more info soon). Wear comfortable clothing that you don't mind ruining with paint. 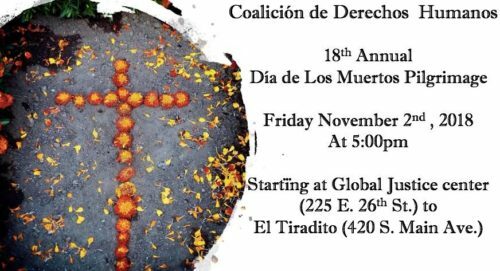 We will meet at the Global Justice Center 225 E 26th St at 5:00pm to begin walking to El Tiradito at 5:15pm. For those who can't join us on the walk please feel free to meet us at El Tiradito at 6:00pm.